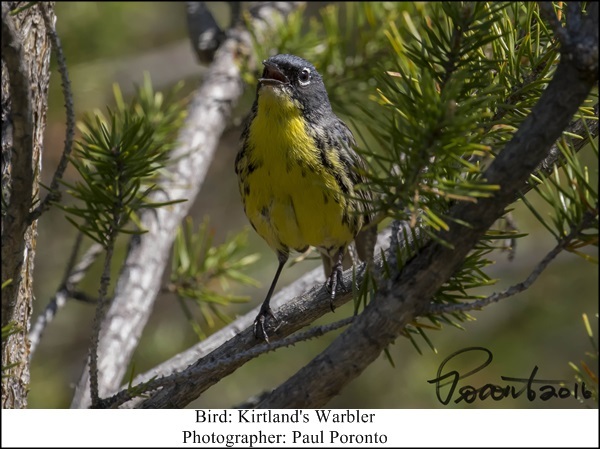 The Kirtland’s Warbler is an endangered songbird that nests almost exclusively in the jack pine forests of a small region of northern Michigan. This bird can be recognized both by its striking plumage (broken white eye ring, bright yellow chest, and blueish gray back) and its cheery, almost constant song (“chip-chip-che-way-o!”) sung from the young jack pines. But don’t let its size fool you; this little bird is a fighter! Dependent on fire for its habitat, it returned from near-extinction like a tiny Phoenix rising from the ashes. 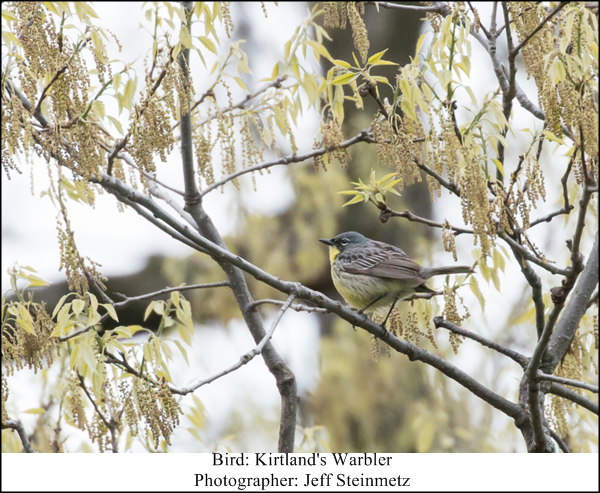 In honor of this bird’s remarkable comeback, people gather annually to the Kirtland’s Warbler Festival, held in Roscommon, MI. This year’s event kicks off on June 3rd with a presentation held at the Ralph A. MacMullan Center, also in Roscommon. The following day, June 4th, activities run from 7:00am-5:00pm (click here for a full event program). From 2:30-3:30pm, Rosann Kovalcik, owner of Wild Birds Unlimited Grosse Pointe Woods, will be giving a talk about how to attract birds to your backyard with suggestions on feeder placement, types of feeders, providing water, offering shelter, and using native plants. Other highlights include tours of Kirtland’s Warbler nesting sites, nature presentations, and even a 5k run! Be sure to mark your calendars for this exciting Pure Michigan event. 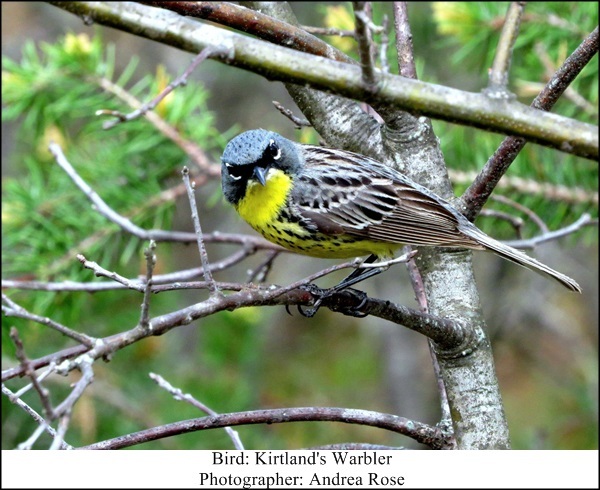 Contact Huron Pines at (989) 448-2293 x 21, email info@huronpines.org, or visit the Kirtland’s Warbler Festival website here. Tickets are $25 per person. 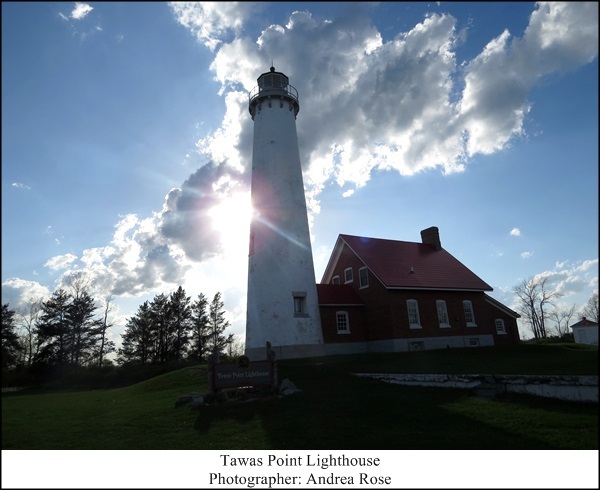 If you love birds, going to the Tawas Point Birding Festival should definitely be on your bucket list. 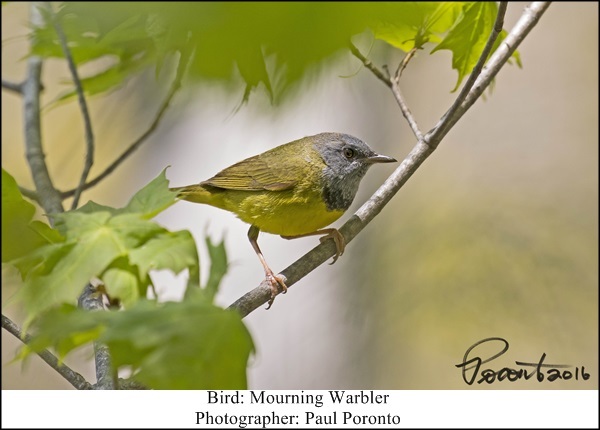 This Michigan Audubon Signature Event is attended annually by bird watchers from all over the globe. From beginning bird watchers to advanced birders and everyone in between, this festival has it all! Guided tours by boat, bike, and on foot are available. Various speakers lead educational sessions including this year’s keynote speaker, Ian Campbell, who talked about his life as a guide. Other fun events include the Birds and Brews social event, photography workshops, wildflower tours, and more. Attendees can pick and choose which events they’d like to attend, or simply go off and explore the grounds on their own, with the potential of seeing 180+ species of birds! This year’s event had sunny weather and cheery faces, as people came together to share their love of birds. Although it was not the most warbler-saturated year as compared to other years, there were still plenty of beautiful birds to be found. Bright red Scarlet Tanagers and flame-orange Baltimore Orioles lit up the trees, while various warblers flitted about, capturing the attention of birders of all ages. 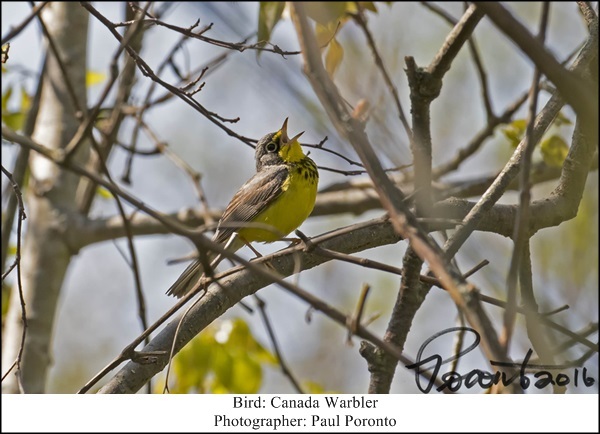 It was exciting to see a group of elementary school boys who were learning and testing their ID skills, as well as a group of local birders doing a Birding Bachelor Party (including photographer and blogger Paul Poronto). Another reason to visit this magical place is the presence of various endangered species, including the Piping Plover (click here to learn more) and the Kirtland’s Warbler (click here for more information). 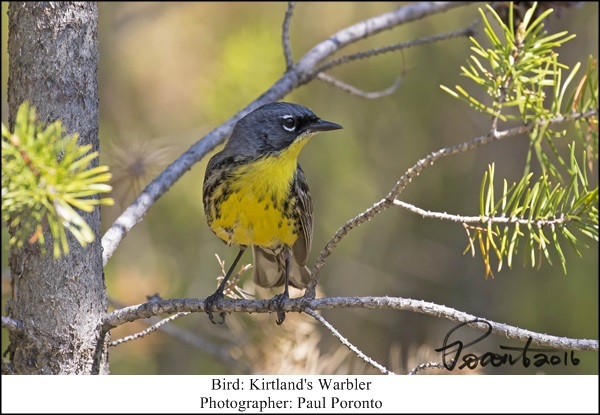 Unfortunately, the plovers did not make their usual appearance at this year’s festival, but the male Kirtland’s Warblers were singing their hearts out among the jack pine trees. At Wild Birds Unlimited Grosse Pointe Woods, we believe in fostering and enjoying the love of birds. Attending events like this one are a wonderful way to share our passion and enjoy this beautiful state! Be sure to stay tuned for next year’s event. 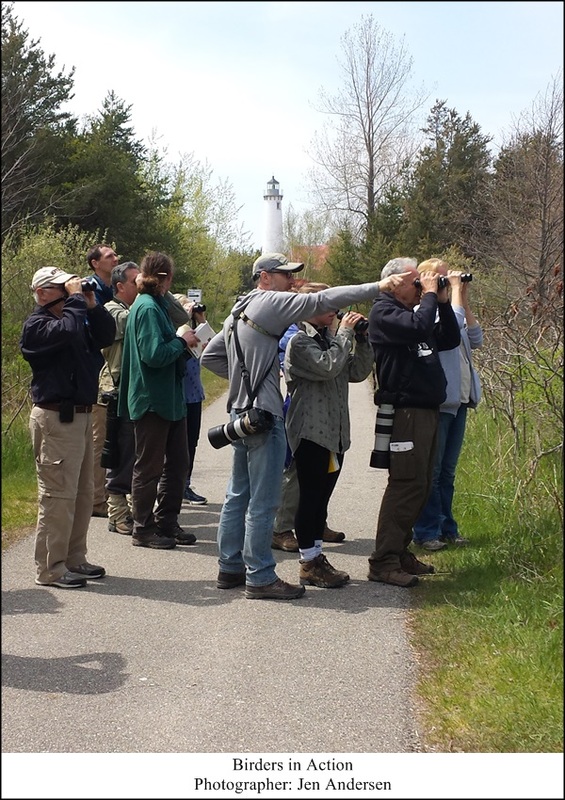 Check for dates at the Tawas Birding Festival website.